This week we have The Weekly Photo Challenge: Pattern. 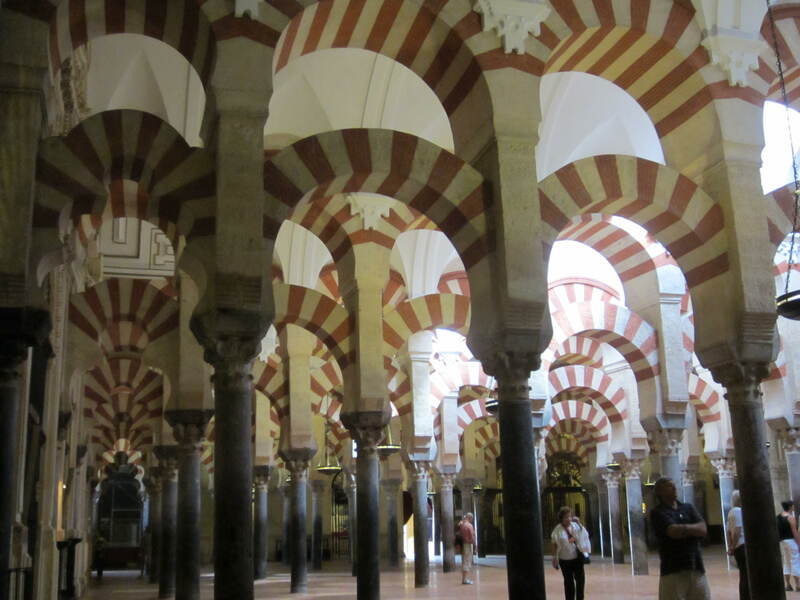 We have seen a lot of patterns in our travels, clouds, lights, architecture, but, to date, we have seen nothing more interesting than the Mezquita de Córdoba in Cordoba, Spain. A unique structure that melds a mosque, converted to a cathedral. Originally started as a church, it was converted to a mosque after the Moors conquered this part of Spain. It was largely rebuilt and then, when the area was retaken by the Spanish, it was again converted to a church. A very interesting background and a stunning combination of various architecture. On our arrival in Lisbon. Portugal, we were saddened to be informed that my cousin Lynn’s husband Dale had succumbed to cancer. Keeping in mind that we are not Catholic, and neither are Dale and Lynn, we decided on an appropriate tribute (we think) in that we were in Spain and Portugal, both of which have a multitude of beautiful cathedrals. We decided we would light a candle in remembrance in each cathedral we visited. Our first candle was lit in Lisbon and we now moved into Spain. Our travels took us to Toledo. 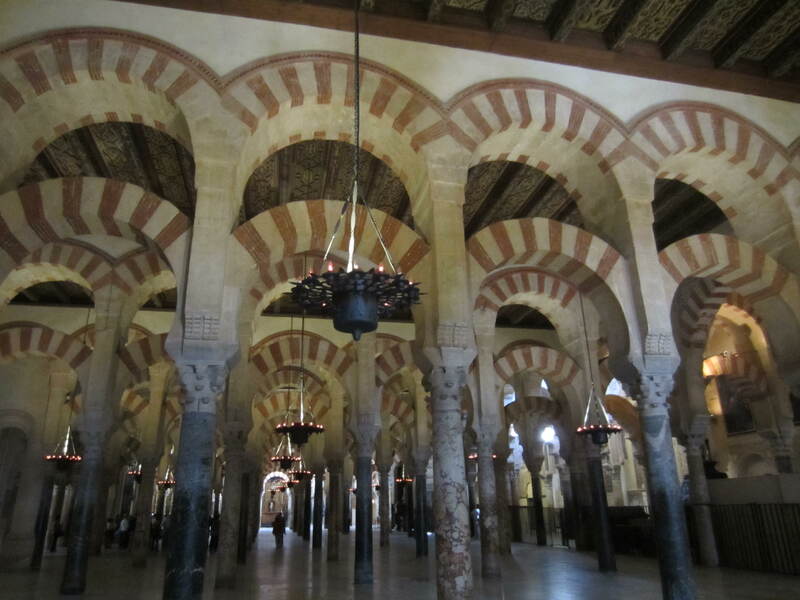 Our next stop was a day trip to Cordoba and the world-famous Mezquita de Cordoba.